While no two companies are ever alike, there are common threads in strategies for high growth enterprises that are consistent across many different industries and environments. Embark learned this lesson while experiencing our own recent growth into Denver and Austin, recognizing common traits that are applicable to a variety of organizations. 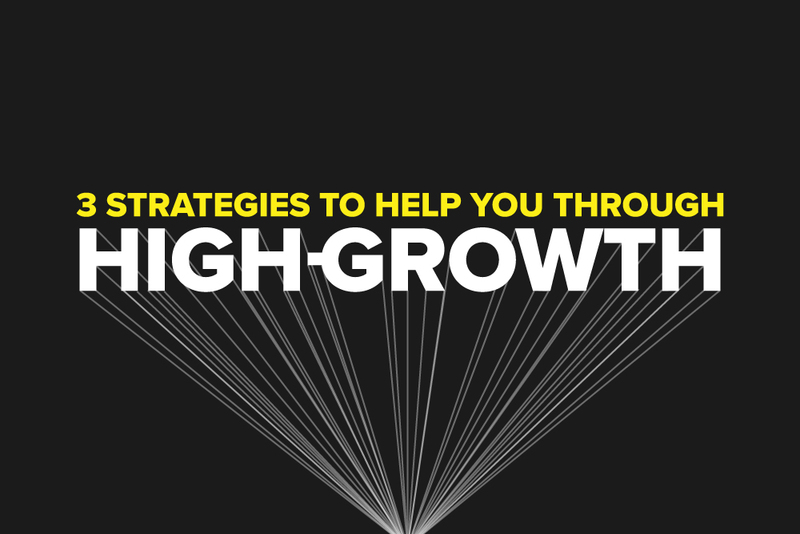 For that reason, we’ve assembled a few best practices to help inform your own growth strategy. Healthy growth falls somewhere between random luck and a steadfast plan that’s adhered to without exception. As we’ve learned, the natural course of your business will make an appropriate pace and location(s) for growth readily apparent if you stay cognizant of the signs. Good or bad, those signs will be different for every company. Sometimes they’ll be as overt as lopsided revenue stemming from a particular market. Other times, they’re as subtle as an uptick in inquiries from a region you have little, if any, professional contact with. Closely monitor where your business is trending for all the guidance you’ll need to start developing a growth strategy. Keeping your head on a swivel and eyes wide open will serve your future well. Although organic growth follows a natural progression, the underlying strategy that propels that growth is meticulous and organized. Use that progression to guide your decisions and develop a strategy based on past performance, current numbers, and an informed forecast of what’s down the road. That strategy, whether it involves geographic expansion or extending market share from existing offices, will require talent, cost efficiencies to free resources, and an ability to find the combination of labor and technology to maximize your growth. Talent drives nearly every facet of your enterprise. It’s your primary source of innovation and the bedrock that stimulates growth. As you assemble your growth strategy, you’re likely to already have key in-house individuals to help guide and drive that growth. To fill in gaps and provide your company with the talent and torque needed to grow, continually recruit for new team members that will give your organization the comprehensive, collective knowledge base and skill set to stay on your growth trajectory. In a perfect world, your existing team members could meet all of your company’s growth needs. However, that just isn’t cost effective in most cases and outside talent will be needed to continue along your strategy. For that reason, do everything you can to find and hold on to high-quality service providers. The right partners can not only help you foster growth but, ideally, grow right along with you. It’s a mutually-beneficial relationship that allows each organization to reach their own respective goals, creating value for both parties while building trust and reliability in the relationship. Like outsourcing to trusted partners, automating repetitive, resource-consuming processes can free cash and assets that are better used to create value and growth. Technology can play a pivotal role in this capacity, allowing you to automate vital but laborious functions like accounts payable. Use solutions that can fulfill those needs and are sufficiently scalable to expand as you grow. Even more importantly, find the combination of in-house talent, outsourced work, and technology that maximizes value and efficiency for your enterprise’s unique demands and goals. Change too often takes on a negative moniker when, particularly in business, it’s a critical component of growth. Don’t shy away from healthy, insightful disruption but embrace it, even if it might make you a bit nervous at first. However, always remember that change comes in many different forms. Don’t change just for change’s sake but have sound reasons to pursue it. As you proceed, constant and open communication with your team is essential to maintaining and improving the culture that put you in the position to grow in the first place. In other words, be transparent as you grow to make sure everyone is on the same page. Explaining the motivations behind your decisions can help quell anxiety brought by change and preserve your ever-important culture and productivity.